Dean Devlin's 2018 thriller Bad Samaritan starring David Tennant, Robert Sheehan and Kerry Condon is to air on Canal+ in France and Poland. The film was written by Brandon Boyce and directed by Devlin, who also produced the project through his own company, Electric Entertainment. Robert Sheehan plays Sean, a struggling photographer who, together with his best friend Derek (Carlito Olivero), runs a valet parking business outside a high class restaurant. While business is booming the pair have come up with a novel scheme to complement their income - they use the sat-navs of the cars they are parking to locate their customers' homes and rob them while they're dining. All is working out well until the obnoxious Cale Erendreich (David Tennant) arrives for a meal. When Sean breaks into his apartment, he discovers a young woman, Katie (Kerry Condon) tied and gagged in his study. When he attempts to report the crime to the police, Cale is alerted to the attempted robbery and begins to pursue Sean with the intention of silencing him forever. 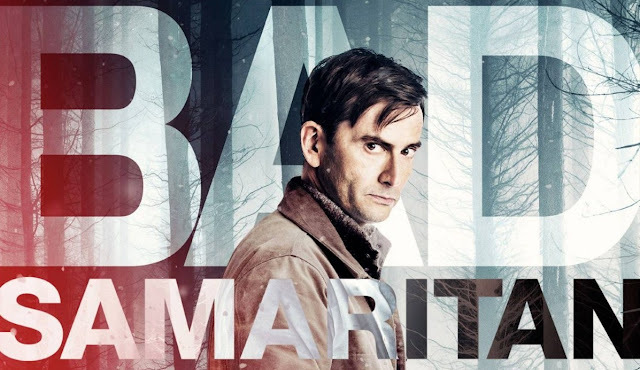 Viewers in Poland can watch Bad Samaritan under the title Zły Samarytanin tonight from 21.35 on Canal+ Film. It can also be seen on Thursday 10th January on the same channel from 21.50. In France, Bad Samaritan premiered on 26th December on CANAL+ Cinema. It can be seen again on Saturday 12th January from 21.05 on CANAL+ with further showings on the network through January.